In 1991, US public health authorities began recommending that all infants get the hepatitis B (HepB) vaccine, stipulating that they receive three doses within the first six months of life, starting at birth. The World Health Organization (WHO) followed suit with its own recommendation in 1992, instructing countries to vaccinate from birth even where hepatitis B virus was uncommon. Two 2018 studies (one in the US and one in India) take a closer look at the outcomes and implications of these blanket prescriptions. Although the studies focus on different aspects of their countries’ respective vaccine programs, both are cautionary tales, highlighting the fact that one-size-fits-all vaccine recommendations frequently steamroll over important biological risks and immune system subtleties, thereby introducing troublesome unintended consequences. Until the early 2000s, the HepB vaccine in the US contained organic ethylmercury in the form of the preservative thimerosal—totaling 37.5 micrograms across the three doses. Regulators have never bothered to set any safety standards for ethylmercury, but government researchers have shown that the toxicity mechanisms of ethyl- and methylmercury (the type of mercury found in fish) are similar, and some believe that even the tiniest amounts carry a risk of adverse neuropsychological outcomes. Fixated on the sole indicator of increasing HepB vaccine coverage, the Centers for Disease Control and Prevention (CDC) bragged in 2002 about having achieved a 90% national coverage rate in young children. However, a 2018 cross-sectional study published in the International Journal of Environmental Research and Public Health strongly suggests that the 1990s-era thimerosal-containing HepB vaccine had far less praiseworthy consequences, causing considerable harm to children and also exacting a high price from US taxpayers. The researchers used National Health and Nutrition Examination Survey (NHANES) data to consider 1,192 boys aged 7-8 years—a sample statistically representative of over 24 million American boys. Building on their own and others’ prior research linking thimerosal to developmental disabilities, they considered boys who either did or did not receive three doses of thimerosal-containing (1994–2000) or thimerosal-reduced (2001–2007) HepB vaccine in infancy (the “exposure”), defining the outcome as increased long-term risk of receiving special education services. They restricted their sample to boys because of males’ greater susceptibility to mercury toxicity. For the subgroup born between 1994 and 2000, boys who received three doses of thimerosal-containing HepB vaccine were at a more than nine-fold significantly higher risk of receiving special education services compared to boys receiving no doses of HepB vaccine. Extrapolating to the US population as a whole, this means that almost 1.3 million US boys born from 1994-2000 received special education services directly attributable to receiving three doses of thimerosal-containing HepB vaccine—costing taxpayers over $180 billion. An earlier study by some of the same authors found that in the decade from 1991–2001, exposure to thimerosal-containing HepB vaccines in the first six months of life resulted in an estimated 0.5–1 million US children being diagnosed with learning disabilities, representing lifetime costs in excess of $1 trillion. As noted, the WHO has strongly promoted universal HepB vaccination and particularly the initial birth dose. However, in India, which introduced the HepB vaccine around 2006, approximately three-fifths (61%) of women deliver at home rather than in a health facility, making it next to impossible for health providers to administer newborn vaccines. In recognition of these realities, the Indian government’s two-pronged policy is to give HepB vaccine at birth to the 39% of babies born in institutional settings but to otherwise administer the first dose at six weeks. About 45% of Indian children receive the birth dose (although the WHO wants to double that number); irrespective of timing, 86% of Indian children reportedly receive all three HepB doses. However, India is home to an estimated one-third of the world’s unvaccinated children, meaning that many children still do not receive any HepB vaccine at all. Are there any differences in vaccine efficacy for the two HepB schedules (birth dose versus six-week dose)? After testing all samples for a marker of chronic hepatitis B infection, the investigators concluded that birth vaccination offered “no added protection”—lending support to the government’s “pragmatic” approach of waiting until six weeks to vaccinate babies born at home. What are the levels of protective antibodies in fully HepB-vaccinated children, and do they change over time or according to birth dose? The researchers measured antibodies in a subset of 865 children who had received three doses of HepB vaccine. Seven in ten (70%) had protective levels of antibodies—but 30% of fully HepB-vaccinated children did not [emphasis added]. Moreover, when the researchers considered the children’s age, they found that vaccine-induced protection waned rapidly and significantly, falling from 82% of under-one-year-olds to 47% of five-year-olds. Receiving a birth dose made no difference. What are the levels of protective antibodies in children who have not received any HepB vaccine? Finally, the researchers examined hepatitis B immunity in 370 children who had never received any HepB vaccine. Nearly half (45%) of non-HepB-vaccinated one-year-olds were naturally immune, and 29% still had antibody protection at age 5. The researchers credited these protective levels of antibodies to natural, passively acquired immunity from unvaccinated mothers. The corresponding (and vastly underestimated) importance of natural immunity. mothers in highly measles-vaccinated communities have lower antibody levels and, therefore, far less ability to confer passive protection to their babies. Regarding this latter point, the authors of the Indian HepB research, led by Dr. Jacob Puliyel, call attention to the “surprising” persistence of passively acquired hepatitis B antibodies in their own study population and in other studies. Pointing to studies of measles immunity, they note that mothers in highly measles-vaccinated communities have lower antibody levels and, therefore, far less ability to confer passive protection to their babies. This is because the measles vaccine “induces lower antibody levels than does natural infection and the antibody levels of vaccinated cohorts are no longer boosted by exposure to wild-type infection.” A study in the Czech Republic that compared 18-29-year-olds who were vaccinated and unvaccinated for mumps found that only 19% of vaccinated individuals in that age group had acquired immunity versus almost half (48%) of the unvaccinated, leading to the conclusion that only natural infection can lead to “long-term persistence of antibodies.” A growing number of studies also are indicating that prior exposure to natural infections such as measles and mumps may be health-protective later in life. 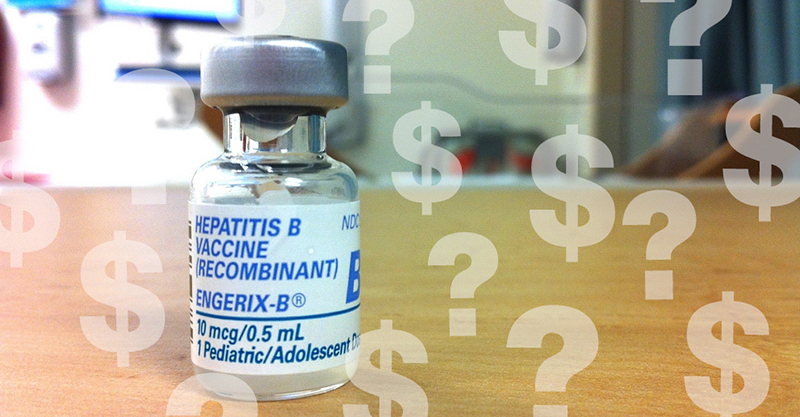 Back in 2003, Dr. Puliyel wrote a letter to the editor that questioned other researchers’ overestimation of the benefits of hepatitis B vaccination in terms of vaccine efficacy and cost per life-year saved. The letter concluded with a caution to guard against “overzealous” vaccine promotion. 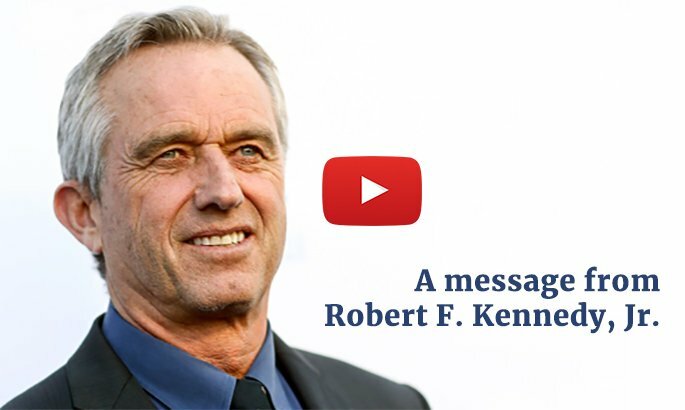 In the current climate of an ever-expanding vaccine schedule and hundreds more vaccines in the pipeline, those words of warning seem timelier than ever.